You can count on a glamorous look from John Hardy's Classic Chain collection. 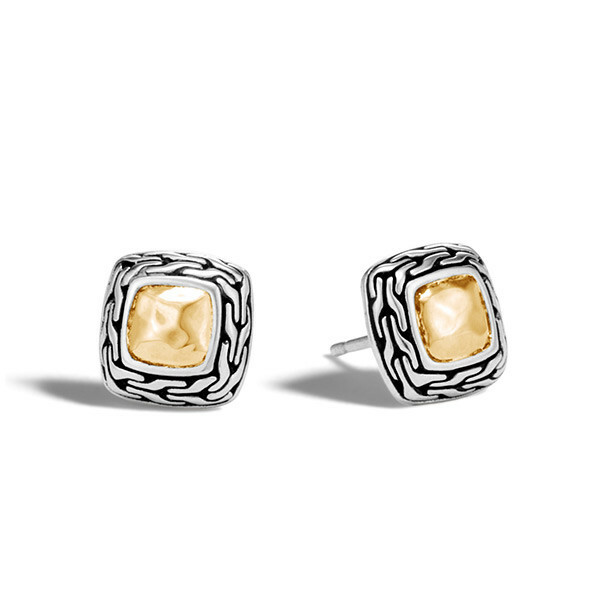 This pair of stud earrings is crafted in sterling silver with an 18kt yellow gold inlay. The gold is gently hammered for a rippled style, and it's framed by a ribbon of classic chain. Post backings keep these beauties comfortably in place. Give any outfit a luxurious accent with these John Hardy earrings.